Global Supply Chain Services: How does Tucson fit in? In the realm of supply chain services, as with any growth-oriented product or service, constant innovation is a critical component to differentiate and create distance from the competition. Global commercial real estate firm Cushman & Wakefield is constantly investing in tools to stay at the forefront of the commercial real estate services arena and availing its brokers of the best resources available to advise an increasingly global client base. Among those innovative and unique services is the Global Supply Chain Services group (GSCS). Essentially the GSCS platform was created and exists to help corporations, institutional owners, developers, REIT’S, logistics providers, transportation companies, and other entities attain peak effectiveness by focusing on upstream business issues and related factors, then providing strategic, comprehensive solutions. From manufacturing and transportation to warehousing and delivery of product to retail and other outlets, Cushman & Wakefield's GSCS platform exists to help clients improve speed to market, provide cost and risk reduction, and maximize location and labor requirements. Among those entities that can best benefit from GSCS solutions would be major employers, import/export firms, third party logistics (3PL) firms, and locally the Levin Family, owners and developers of Century Park Research Center and the Port of Tucson. The GSCS platform is unique to Cushman & Wakefield, and C&W ensures that its member brokers are sharply trained and attuned to the vast assets of the C&W network for the benefit of local clients. A select 10% of Cushman & Wakefield industrial brokers carry the GSCS designation, among those Russell W. Hall, SIOR, GSCS, a principal and industrial specialist with Cushman & Wakefield | PICOR’s commercial real estate headquarters in Tucson, Arizona. The GSCS group formally supports our clients' supply chain activities and allows them to maximize their performance. Brokers attend specialized training sessions to further develop their specialty knowledge base relative to supply chain activities, and hone their skills. The most recent session was held as part of Cushman & Wakefield's Industrial Forum conference in Las Vegas earlier this month. The GSCS platform of brokers are also studying trends very closely. The reshoring movement represents a growing trend, whereby domestic companies formerly actively manufacturing in Asia and other remote locations see increasing economic benefit to relocate manufacturing activities closer to home. Nearshoring is a similar concept which again brings manufacturing to such locations as Mexico, whose economic competitiveness with China and other overseas locations continues to grow. Companies are looking at these factors, and others to help determine how real estate will complement changing trends in the way goods and services will be produced and moved around the world in years to come. Change is constant, and the GSCS group studies and stays abreast of trends to help our clients best anticipate where opportunity will reside in the future. 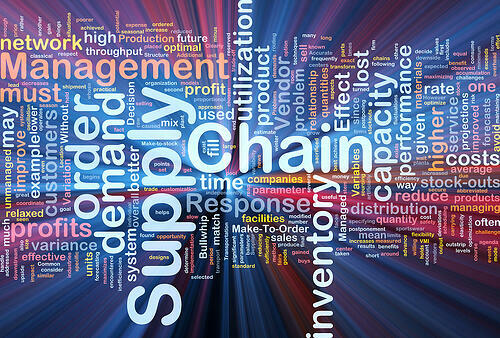 For information on supply chain services, please contact Russ Hall by email or at 520.546.2747.